The Centers for Disease Control and Prevention has confirmed that Zika virus (ZIKV) causes congenital microcephaly. ZIKV now joins five other neuroteratogenic (NT) viruses in humans and ZIKV research is in its infancy. In addition, there is only one other NT human arbovirus (Venezuelan equine encephalitis virus), which is also poorly understood. But further insight into ZIKV can be found by evaluating arboviruses in domestic animals, of which there are at least seven NT viruses, three of which have been well studied. 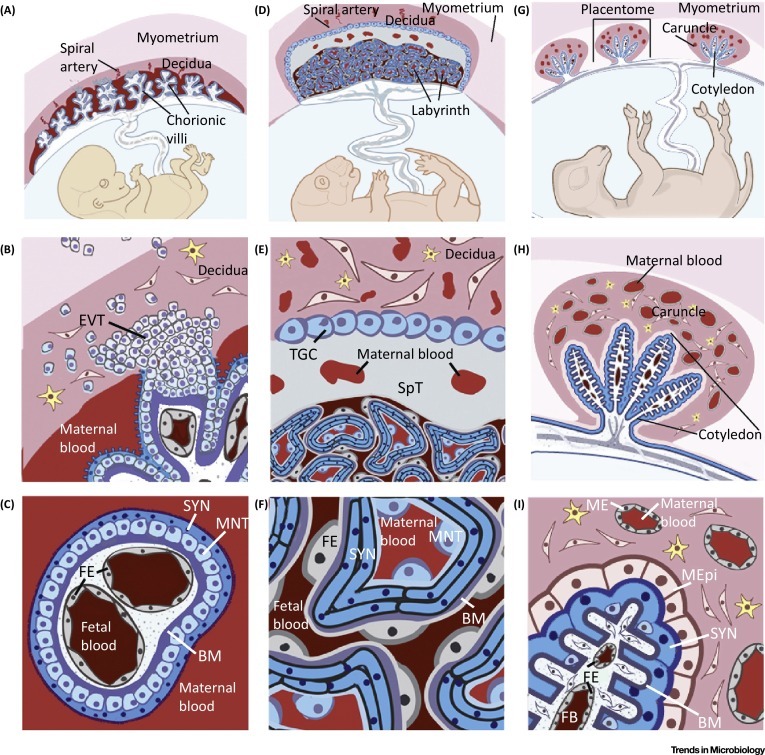 Here we review two key anatomical structures involved in modeling transplacental NT virus transmission: the placenta and the fetal blood–brain barrier. We then survey major research findings regarding transmission of NT viruses for guidance in establishing a mouse model of Zika disease that is crucial for a better understanding of ZIKV transmission and pathogenesis.